Located in San Francisco, MISTA will open its physical premises in early 2019. With an extensive 7,000 square feet (650m2) of space, the MISTA Optimisation Center (MOC) will provide access to a product development facility, equipment for pasteurisation and fermentation, experts providing market and leadership development strategies, as well as input from world renowned culinary and food scientists. 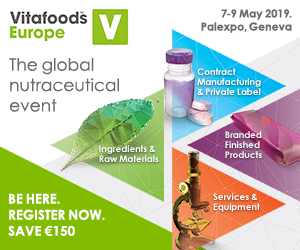 Joining Givaudan as Founding Members of MISTA are Danone, Mars Inc. and Ingredion Inc. as well as a number of strategic partners with world class capabilities from across the food industry, creating an integrated innovation platform. The MISTA team plans to target twenty start-ups to bring into MISTA’s hyper-connected platform within the first year, with roughly ten of those start-ups located on premises at its headquarters in San Francisco, USA.